Say farewell to James McAvoy’s hair. 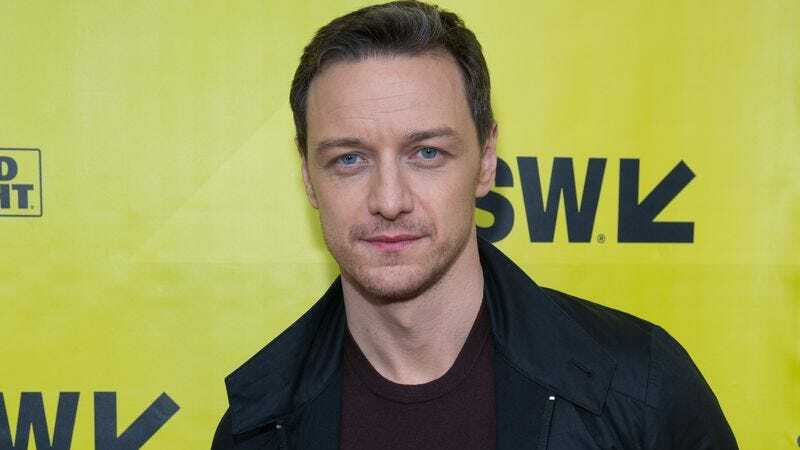 The actor posted an Instagram showing how he’s prepping for his role in the upcoming Dark Phoenix movie by getting intimate with a razor again in order to achieve Charles Xavier’s smooth skull. “He approaches,” McAvoy captioned the post. Sophie Turner, McAvoy’s X-Men: Apocalypse costar, is reprising her role to play the eponymous character in the new film, with Jessica Chastain likely playing alien villain Lilandra. Turner’s fellow new group of mutants—including Alexandra Shipp as Storm and Tye Sheridan as Cyclops—will also be there, as will McAvoy’s pals/sometimes enemies Jennifer Lawrence and Michael Fassbender. And Simon Kinberg is set to jump from just writing these movies to directing.